But interestingly, however, they all date back to, not a four-wheeler, but a three-wheeled machine - Honda's original US90, later renamed as the ATC 90 which went on sale in the USA way back in 1970 and featured in the James Bond film Diamonds Are Forever. That machine, with its knobbly, 'balloon' tyres and fun, off-road appeal was so successful a whole industry was spawned. 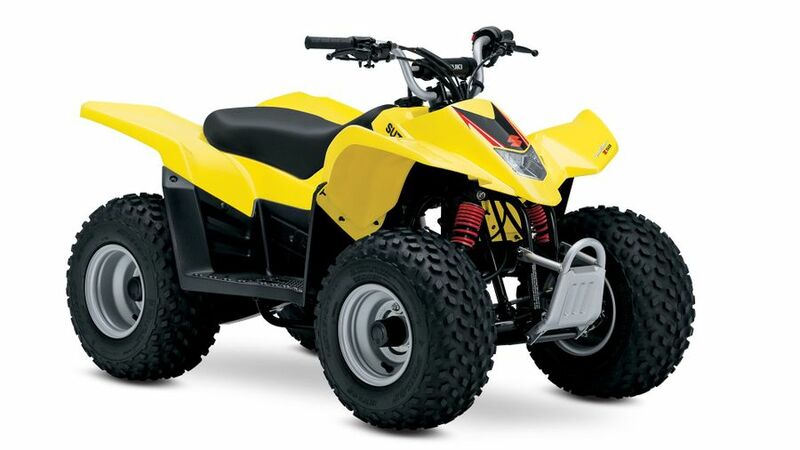 Four-wheeled versions began appearing in the early 1980s, however, when three-wheeled ATCs were banned in the US on safety grounds in 1988 it was the trigger for a quad-bike boom with not just child-friendly, small-engined fun-bike versions, but bigger, farm-orientated utility ATVs, high-performance racers and even road versions complete with lights and indicators coming onto the market. And as a result of all that, today there's a massive choice of quads in all of these areas making it more difficult than ever to make the right choice for you. So, to help, our experts have come up with their best choices in each category. Here are our top recommendations. Suzuki have long been one of the most prolific of the Japanese manufacturers when it comes to quads with a long, respected history particularly in larger-engined utility machines such as its latest, mammoth King Quad 750 but also, at the other extreme, for its quality, child friendly junior quads. 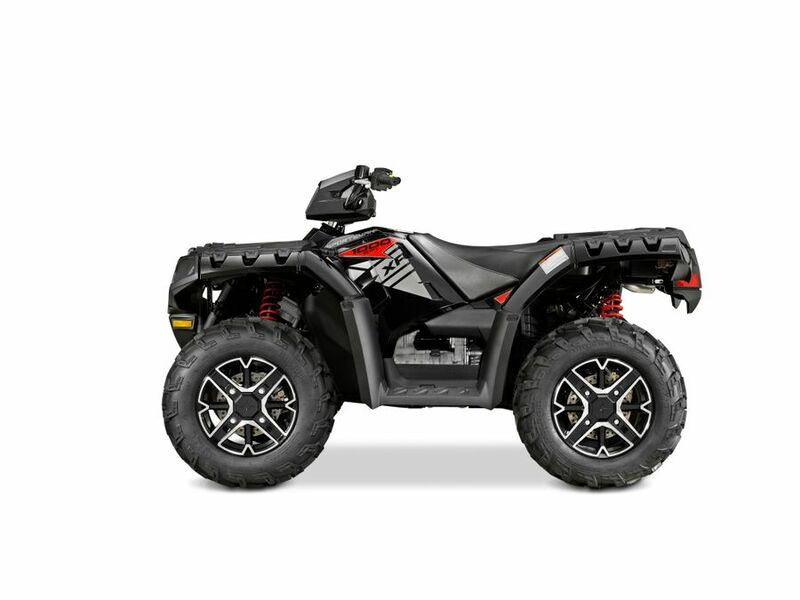 Its latest, smallest offering is the LT-Z50 Quadsport. The modern successor to the original LT50 which debuted in 1984, it's aimed at kids as young as four, is powered by a 49cc four-stroke single with automatic transmission, is a doddle to ride (so is a great introduction to motorcycling) and, best of all, is very cleverly and thoroughly designed (all the wheels are shrouded, for example), hugely proven and credible and fabulously built, too. It might not be the cheapest of this type but it's certainly one of the very best. Big H's Fourtrax family is one of the original utility quads, first being introduced in the mid-1980s, and today remains one of the best. Now available in a range of engine sizes from 250 to 420 and 500cc, it comes with everything you'd expect from a long-established Honda machine: it's rugged and reliable, well-built, durable, has great ergonomics and well-thought-out details and lasts for years - not to mention switchable 2/4-wheel drive and bags of carrying capacity. 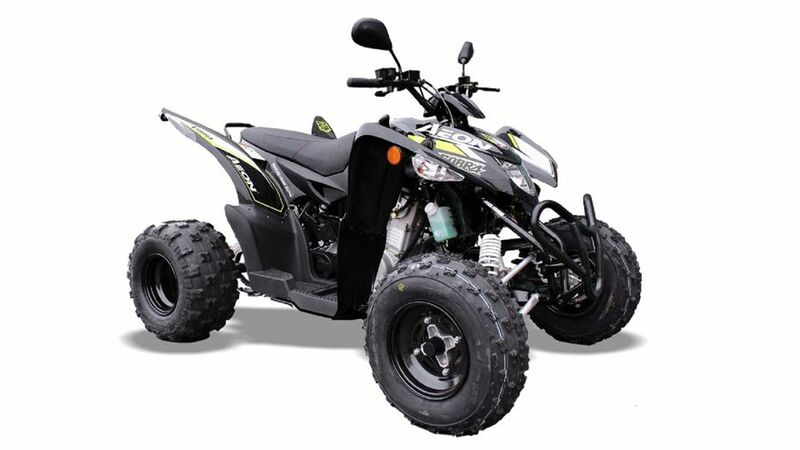 The modern utility quad sector is massive, with a variety of fabulous offerings from the likes, not just of Honda, but also market leader Polaris, Kawasaki, Yamaha and more so there's something to suit every taste and requirement. But the dependable, quality Fourtrax remains one of the best. When Yamaha revolutionized off-road motorcycle sport with the introduction of its four-stroke, single-cylinder YZ400F in 1998 (when, for the best part of two decades, premier class motocross had been dominated by lightweight two-strokes) dirt riding would never be the same again. 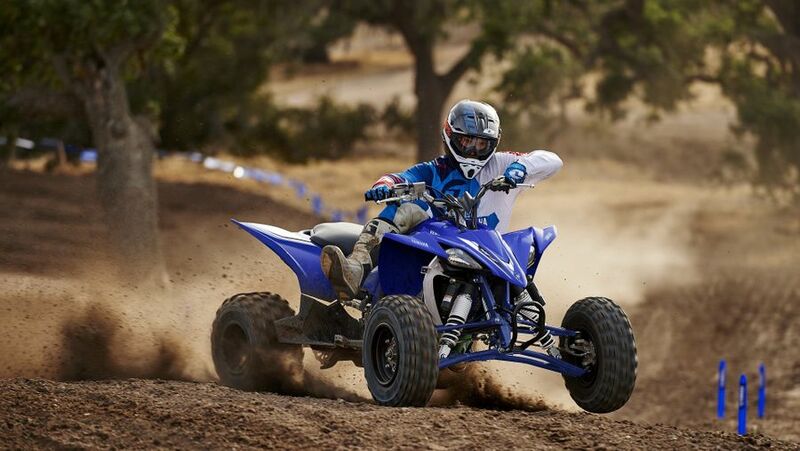 It was also perhaps inevitable that its new, high-performance engine would end up powering - and transforming - open class quad bike racing, too - which it duly did. 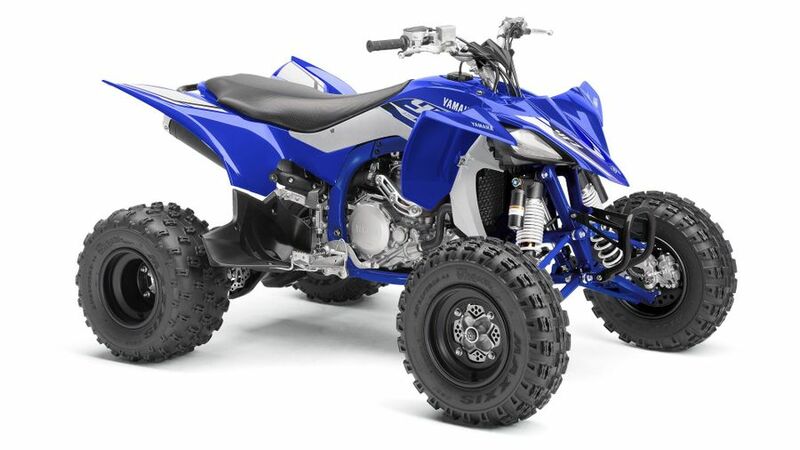 The YFZ450 is the modern-day successor to that machine and remains the benchmark quad racer with a now fuel-injected, race-ready engine, advanced aluminium frame, top quality suspension and brakes and gizmos like a slipper clutch. Not for the feint-hearted, maybe, but it's definitely fantastic. Polaris are less well-known to conventional motorcyclists than, say, Yamaha or Honda, however the vast American concern is a leading force in ATVS and quad bikes and today is the company behind the resurgent Indian Motorcycles so should be taken seriously. 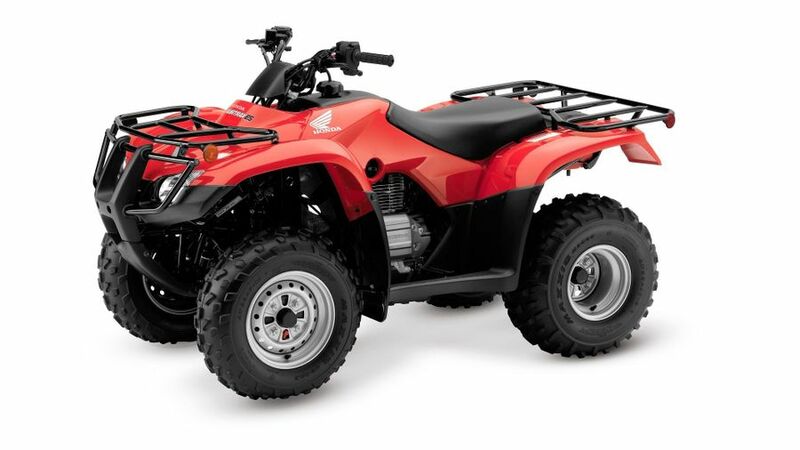 In the UK its quad bike offering is the Sportsman, which comes in rugged 'Utility', sporty 'Performance' and more comfortable 'Touring' guises and with either 570cc or 1000cc powerplants - making them the largest available here. The engine is a liquid-cooled, SOHC twin producing 89bhp, which is matched with a tough, big-wheeled, chassis complete with lights, indicators and comprehensive instruments. Quads don't get much bigger. It has to be said - the public road and most quads aren't the happiest of bedmates. On the road many quads have neither the advantages of motorcycles (slimness and speed) nor those of four-wheeled cars (weather protection and comfort) and instead end up being the worst of both worlds. There are, however, some exceptions and the AEON Cobra 400 is certainly among the best. Its fuel-injected, Euro4 compliant, 400cc engine offers decent performance, the automatic transmission means it's easy to ride, there's a useful reverse gear and, with decent suspension and disc brakes, it handles and stops reasonably well, too. It even comes new with a full two-year warranty, as well. Quads and the road may not be for many, but this is about as good as it gets.